Following scripts can be auto-installed using Microsoft Web App Gallery. Installation procedures take seconds and can be performed by novices without the need of setting up MySQL databases, importing structure, chmoding files and without the need of other tasks usually associated with installations. Below is a list of the most popular Web App Gallery applications. For a more applications, click here to view the full list. Joomla! 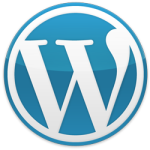 is an open source content management system (CMS). Joomla! 's powerful application framework makes it easy for developers to create sophisticated add-ons that extend the power of Joomla! into virtually unlimited directions. The core Joomla! framework enables developers to quickly and easily build Inventory control systems, Data reporting tools, Custom product catalogs, Integrated e-commerce systems, Complex business directories, Reservation systems, Communication tools and many more. Since Joomla! is based on PHP and MySQL, you're building powerful applications on an open platform anyone can use, share, and support. 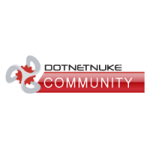 DotNetNuke? is the leading open source framework for building websites and web applications on Microsoft ASP.NET. Through an intuitive, menu-driven interface, even non-technical users can use DotNetNuke to easily create powerful websites or extend the functionality and features of existing web applications. With an enthusiastic open-source community and hundreds of thousands of intranets, extranets, and public websites deployed on DotNetNuke over the past 6 years, DotNetNuke is the world's most widely adopted framework for building web solutions on the Microsoft stack. Sugar is the leading open source customer relationship management (CRM) solution. Sugar gives users a complete view of their customers through core sales, marketing and customer support features. The Sugar platform is highly extensible, and the application includes a built-in Module Builder tool to assist developers and users in creating and maintaining custom applications that extend the value of the core platform. 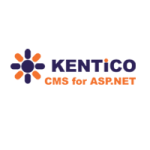 Kentico CMS for ASP.NET is a full-featured content management system for building web sites, on-line stores, intranets and Web 2.0 social networks. It's easy to use for content editors and provides unmatched flexibility for web developers. It features workflow, permissions, multilingual support, full-text search, on-line forms, newsletters, forums, e-commerce, blogs, polls, wiki, web analytics, geo-mapping, event calendar and other modules. Acquia Drupal provides the fastest on-ramp to build dynamic and social web sites featuring both editorial and user-generated content. Whether building a public facing website or a private intranet, Acquia Drupal enables you to use proven social publishing patterns to turn site visitors into active participants. 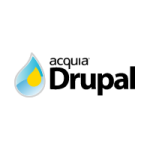 Acquia Drupal combines Drupal core with a set of the most popular modules - plus access to Acquia Network services and support. And with over 2000 open source modules available, say goodbye to limitations.